College aged staff WILL check out your Instagram feed before applying. 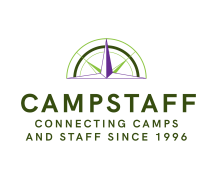 We pour through CampStaff camp feeds regularly and very few camps feature staff on the main feed – rightly so, since those feeds are designed to recruit CAMPERS. Open a second Instagram account to highlight staff. If you are short on quality pics to fill it with, ask your former staff to contribute. This offers a bonus opportunity to interact with staff and maybe get a few more contracts returned before New Years’. The parents of those same college aged staff applicant WILL check you out on FaceBook before giving the OK for their kid to spend a summer working at camp. Link your new staff instagram to this new staff facebook page and have pics automatically added. The bonus opportunity here is that you can directly post staff content to recruit more “mature” staff who are more likely to use FaceBook over Instagram. One of the most glaring holes we’ve found in summer camp websites is a perks section for staff. Is your camp within day-off driving distance of cool places? How about nights out spots? Do you offer a staff lounge? Internship opportunities? Wi-Fi? Trips with campers? Not sure what to include? Ask your previous staff what they remember most about camp. We know you have wonderful job descriptions all prepared for your next accreditation visit, start with those then build out specifics for each area you need staff for. For example, tell your baseball coaches about intercamp coaching opportunities, any special training aids available (like batting cages or swing trainers), weight room access, etc. Put it all in one place specifically for that job. Include a .pdf version and attach to any emails for job seekers in that specialty. Most summer camp websites do a solid job of profiling year round leadership staff. Camp Laurel takes it beyond the next level by profiling ALL staff. It may take a while to catch up to Laurel’s depth so start by adding your key summer staff profiles. Potential staff want to know more about the person they might be working for at camp. Add the remainder of the staff during orientation as a bonus to get kids and parents excited about camp.